This page provides you with Sales Representative resume samples that you can use for inspiration in writing your own resume, or for creating one through our easy-to-use resume builder. Below you'll find our how-to section that will guide you through each section of a Sales representative resume. Just like in sales, you and your competitors are all vying for that dream job - the larger salary, better benefits, high-end clients. But most sales representatives fall short at the beginning, when they hand their rough, unprofessional resume to their future hiring manager. By putting a strategic plan into action, you can craft the perfect resume to help you stand miles apart from your competitors. Over 3 million successful employees have used our sales representative resume sample to help boost their career potential, so why not try for yourself? Landing that next sale is a lot like getting that next opportunity - your pitch needs to be delivered quickly, effectively and memorably. Research shows that hiring managers spend just 6 seconds looking at each resume. If you’re a maverick in sales already, craft a reverse-chronological resume to allow you to showcase your past achievements and selling experience. If you’re entry-level, you can still use the reverse-chronological format, but work in relevant skills and achievements from other fields to make your experience applicable. Use big headings, clear typeface like Arial or Times New Roman and plenty of white space when constructing your resume. Export your sales representative resume in PDF rather than word to make it presentable to recruiters. Consider this as your elevator pitch or hook to reel in potential recruiters. Letting them know what you can do is key in making yourself an asset to your future company or client. Make this section count if you’re an experienced sales representative with proven high standard contract negotiations or a winning KPI track record. Driven and ambitious sales representative with 10+ years’ experience. Proven evidence of increased KPIs with commercial companies, increasing new client relationships by 20% annually. Designed strategies to increase sales goals, leading to a 30% increase annually. Motivated sales representative wishing to gain new employment. Very skilled in managing sales, acknowledging customer needs and building new relationships. With our resume builder you will get tips and examples to inspire you to build the best sales representative resume. If you’re a junior sales representative, or looking to make a career transition, use this section more as an objective statement. Indicate any placements you’ve undertaken or any community-based work you’ve completed. This will give recruiters the best sense of your motivation and any transferable skills. Passionate and driven sales representative with tertiary background in hotel management. Worked 3 years for Dwyer Spikes, national hotel association. Established relationships with 50+ professionals, building client base by 20% annually. 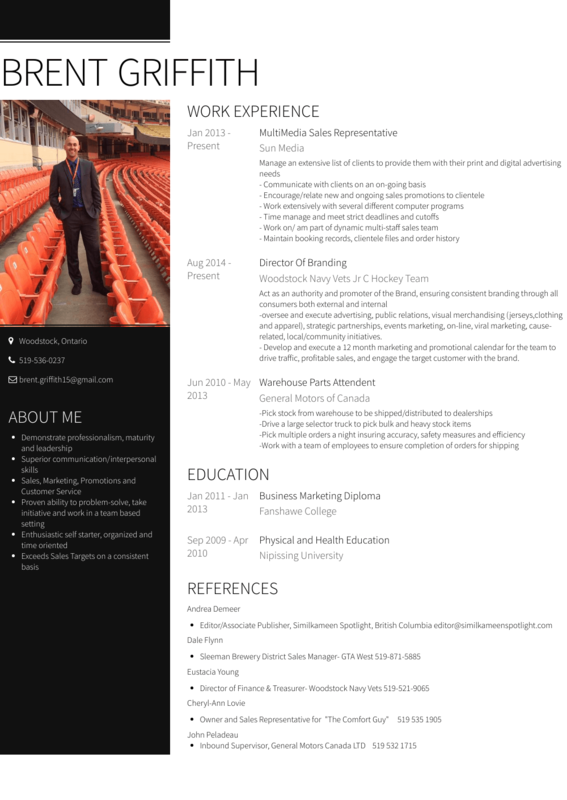 Keen sales representative looking for entry-level position at your company. Just starting out in the sales world but have experience in hospitality. This is where you really get to strut your stuff. Highlighting your biggest achievements and playing up your big wins is key here to convincing your future hiring manager. Whether you have years of experience managing stakeholders for larger clients or are just landing your first sales role, we can help you. Make sure you highlight the company, your position, the dates involved and your duties or responsibilities. It’s important not to overload this section, but at the same time don’t be afraid to include as many stats as possible to show off your best achievements. Sales Representative resume with no experience: Look back at your previous work history, paying particular attention to skills and qualities you picked up along the way. Did you acquired savvy interpersonal skills in your last hospitality job? Have you given presentations and built relationships with new people? No matter how big or small, any voluntary or paid experience in anything sales is worthy of noting down. Our detailed resume guide may be helpful if you require assistance writing your sales representative work experience section. Consider this as another opportunity to flaunt your recent achievements and skills. In doing so, you will further fit the job requirements and give recruiters that extra push to look past the first few lines. Including any industry-specific certifications, like Rise Up Sale or HubSpot Inbound Sales, is essential here. Any information you include here must be completely truthful. Make sure you let recruiters know if you’ve had a gap in employment for health reasons. If you are looking for junior sales representative jobs, that is also something that needs to conveyed to potential recruiters. Technical and soft skills form the nuts and bolts of your sales representative resume. By highlighting your best qualities and assets you will improve your chances of success in landing your future job role. Make sure they are specific to the job role. Sales Representative Cover letter: Yes or no? Do you believe your employer still needs a fantastic sales representative cover letter to convince your future employer? Become the next Wolf of Wall Street with our professionally designed cover letter examples! You made it to the bottom of our sales representative resume sample and we truly believe you need some extra tips! If you want to be inspired by the best sales representative resume templates, check out this masterpiece many professionals like you have used in the past!